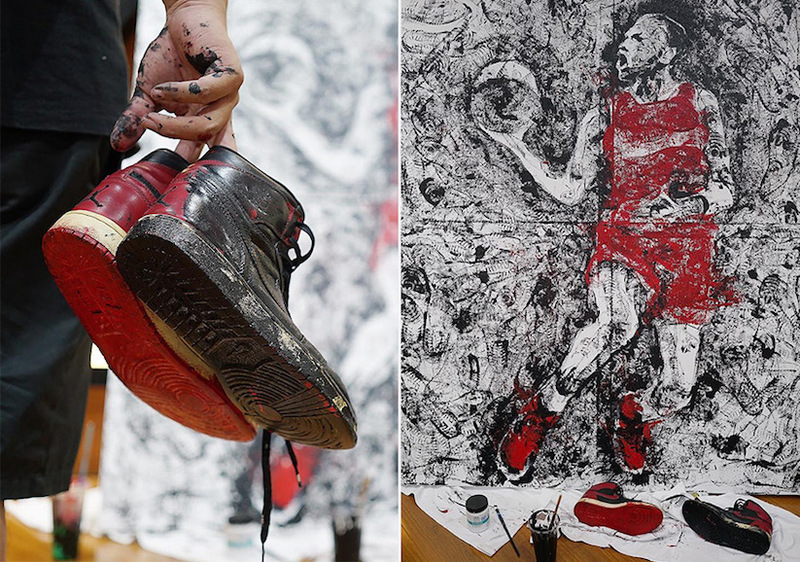 Artist Dave White showed off an original pair of Air Jordan 1s that he’s been painting in for 20 years recently. 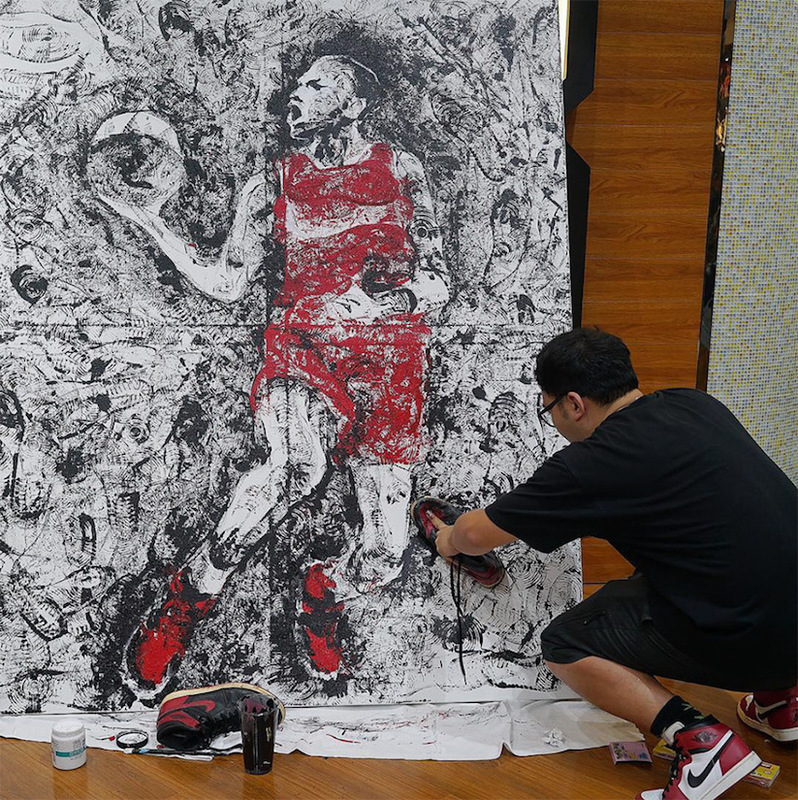 While that dedication was pretty extreme, nothing compares to an artist using an actual Air Jordan 1 Banned pair as his paintbrush to complete a painting of a rookie Michael Jordan soaring through the air for a dunk. 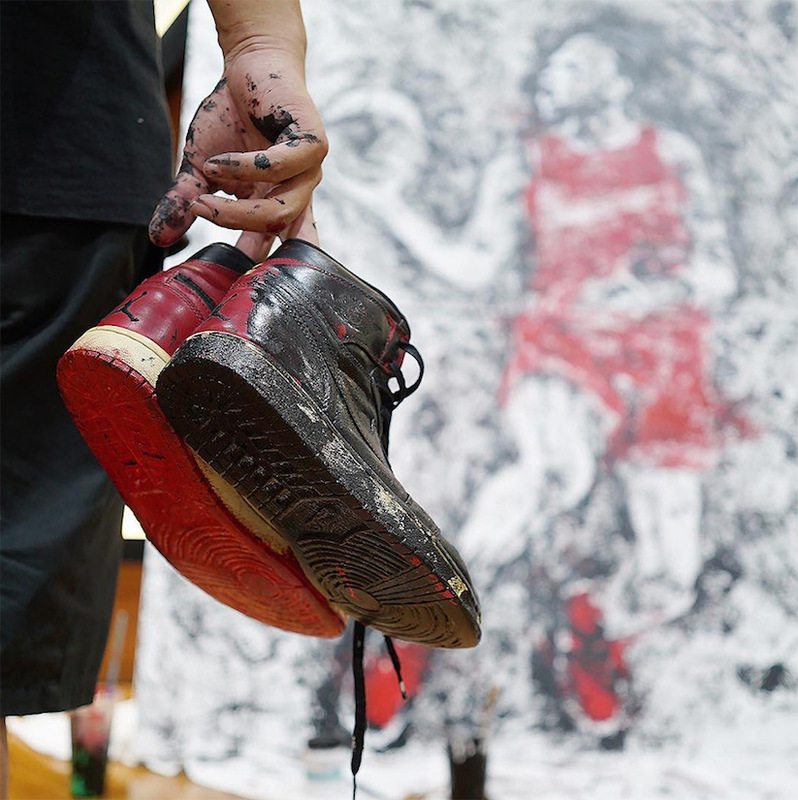 The unknown artist affiliated with the GC911 Instagram account showed off his skill by using the Air Jordan 1 Banned from 2009’s Defining Moments Pack in honor of the upcoming Air Jordan 1 Flyknit release. 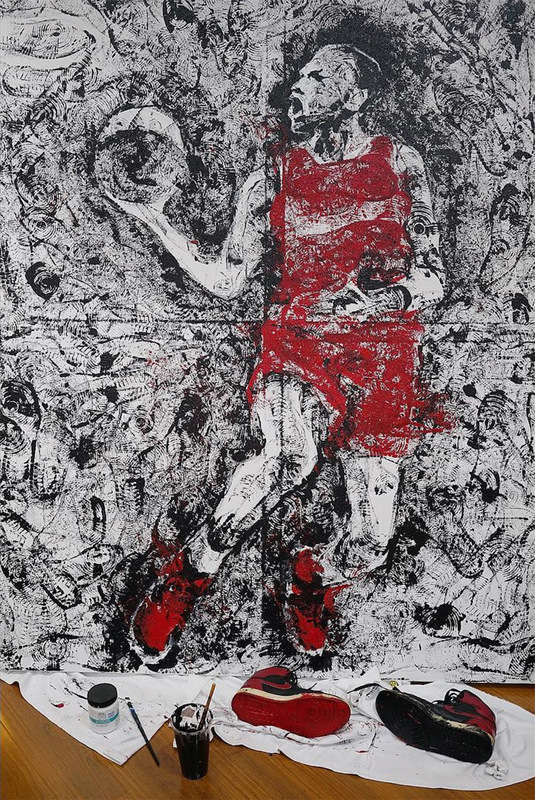 Check out the full video below including photos of the completed version of the incredible painting and hopefully we see more creative works like this in the future.